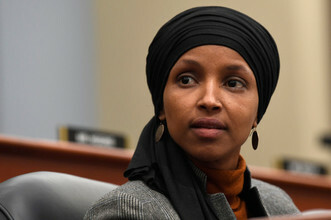 Jewish voters furious at Democrats' defense of Rep. Ilhan Omar say they're done with the party that has held their support for generations. "We felt we had a home there," said Mark Schwartz, the Democratic deputy mayor of solidly blue Teaneck, NJ. "And now we feel like we have to check our passports." Jordan Manor of Manhattan, who calls himself a "gay Jewish Israeli-American," laments, "The party I thought cared about me seems to disregard me when it comes to my Jewish identity."